DD Exhibitions Ltd deliver high quality exhibition stand solutions for businesses that compete in a highly connected world. With a wealth of experience, we have successfully designed and built exhibition stands for clients across the UK and overseas. No matter what event or industry, we can tailor the right concept to suit your company, your product and your budget. If you are a first time exhibitor or a seasoned professional, we have the expertise to make your exhibition the best yet. We offer a complete in-house service throughout the exhibition process. From creative and innovative stand design, to expert project management, manufacture, graphic production, installation, storage and logistics, we successfully manage to deliver solutions to a unique standard above other exhibition contractors. To ensure our client’s peace of mind we have firm organisational structures and committed employees in place to make sure every project is completed on time and within budget. 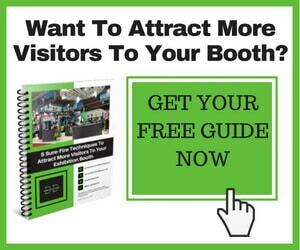 At DD Exhibitions, we promise to work tirelessly and passionately to produce the most memorable exhibition stand to promote your product, services or brand. If you need assistance at any time, please contact us to speak to one of our experts who are here to help you. With over 20,000 square feet of warehousing and manufacturing space, we offer tailor made solutions, designed and built in Greater Manchester using our own experienced teams of experienced joiners and event professionals. Creative and innovative designs that work within budget, giving you the edge. All our clients benefit from the best installation in the industry. All fitted by our in-house team. A fleet of vans, trucks, artics and our warehouse storage facility adds to the benefits of using DD. “We have been working with DD Exhibitions for over 5 years and they have never disappointed us. From their design capabilities, to their project management, they are able to offer a comprehensive design and build service for exhibitions anywhere in the world. “Trinity used the services of DD Exhibitions for the first time this year and from the initial contact right through to the stand handover at Intertraffic 2016 in Amsterdam, Trinity has been impressed by the professional and flexible level of service and support provided. The high attention to detail shown by DD Exhibitions resulted in an impressive exhibition stand that created the impact and presence Trinity was looking for. “Thank you, thank you, thank you !! What can I say….I cannot praise your team enough for the amazing job they have done in our Ramsbottom shop. To say we are over the moon is an understatement. You have exceeded all our expectations and I am truly grateful to you personally. The lads onsite have been brilliant, really professional and reliable and nothing was too much trouble. They have transformed our dark and tired shop into the best shop in Ramsbottom! “I just wanted to say a huge thank you for creating three wonderful booths at the Mido show in Milan as well as 100% Optical in London. The booths looked fantastic and I am pleased to say that the clients were delighted with them all. I also wanted to thank your team for their help and kindness during the design phases, the build up and take down of all the shows. Their knowledge and skill made the operation seem very painless, but I know that this is an illusion and behind the scenes there is a great deal of work that needs to be completed. I also want to thank you for pulling the Mondottica booth together after we found out that the booth space had been altered radically just three days before the lorries were scheduled to leave. From my experience, I know of no other exhibition company who could have pulled this off!